In the front row, US first editions/first impressions of Elmore Leonard's Tishomingo Blues (Morrow, 2002) and the Get Shorty sequel Be Cool (Delacorte, 2002), both with dust jackets designed by Chip Kidd, and in the back row, a British first edition/first impression of John Updike's Rabbit omnibus Rabbit Angstrom (Everyman's Library, 1995), a 1986 Pan paperback of John Fowles's The Collector, and a British first edition of James Ellroy's L.A. Confidential (Mysterious Press, 1990), with a dust jacket illustration by David Scutt. 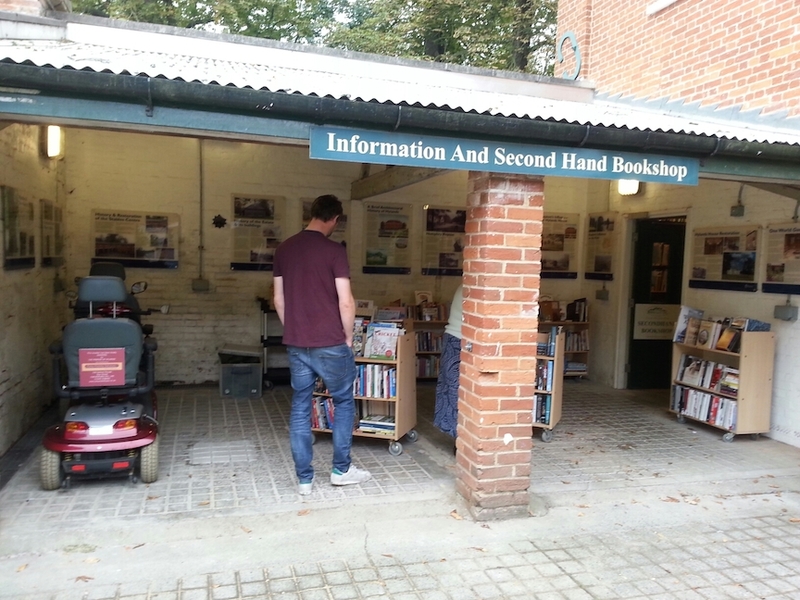 Much Ado Books in Alfriston, which after closing off its entire first floor secondhand books department for a while, has now reopened one room upstairs and has expanded the selection of secondhand books available in the courtyard, all of which is jolly good news. 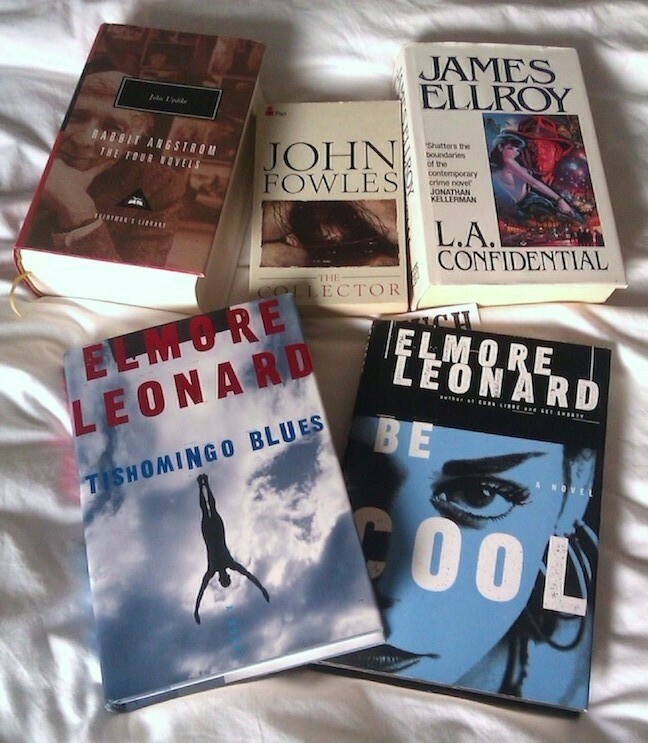 The Leonard firsts were only three quid a pop, plucked from the very courtyard bookcase I'm browsing in the picture above, and though I have read Be Cool, I didn't own a copy of it, nor of Tishomingo Blues, so American first editions, which you don't come across every day in British secondhand bookshops, proved irresistible. 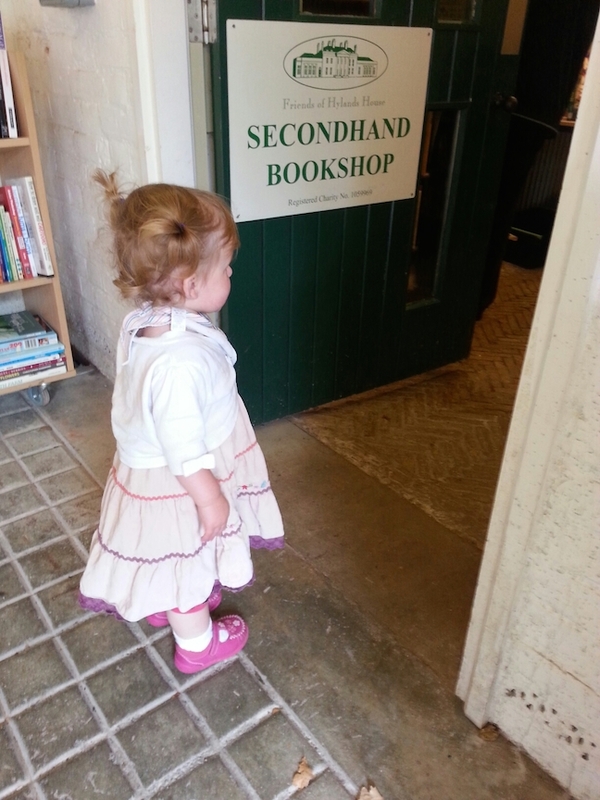 The Friends Secondhand Bookshop, situated in the grounds of Hylands House in Essex, which I coerced Rachel and Edie (and Rachel's folks, who accompanied us) into visiting on the pretense of Hylands Park being picturesque. Which to be fair it is – and is also, I learned once we arrived, the site of the annual V Festival, which I attended in, I think, 1997, so I'd unknowingly been there before – but I'd be lying if I were to suggest its attractively manicured gardens were my main reason for visiting. 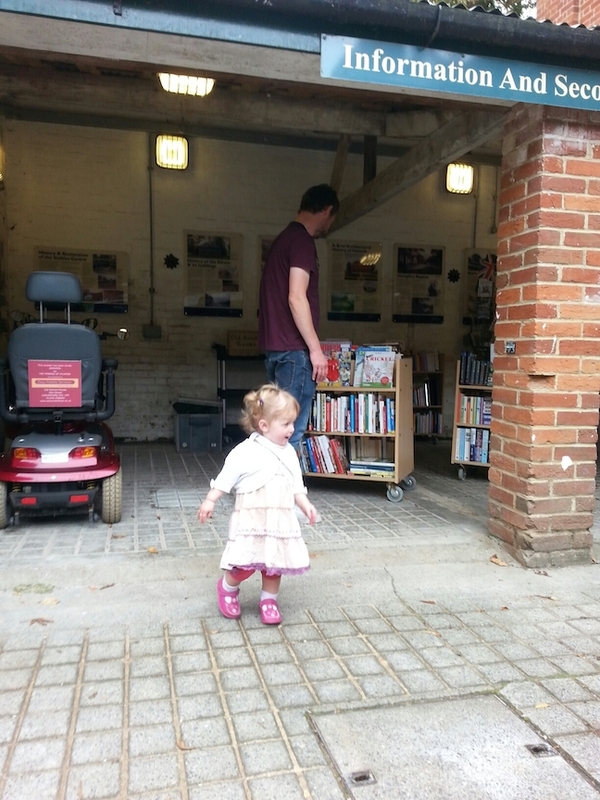 The bookshop is a donations affair in the courtyard of the Stables Visitor Centre, and in truth it's not dissimilar to a charity bookshop, with little for the proper collector, but it's still worth a casual browse, and even Edie briefly entertained the notion of going inside and having a look around. 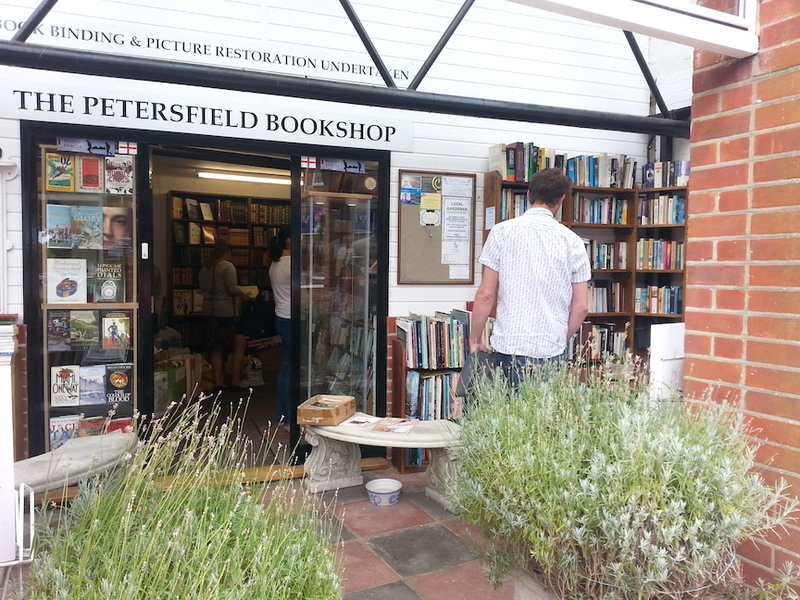 The Petersfield Bookshop, in, astonishingly enough, Petersfield, in Hampshire. 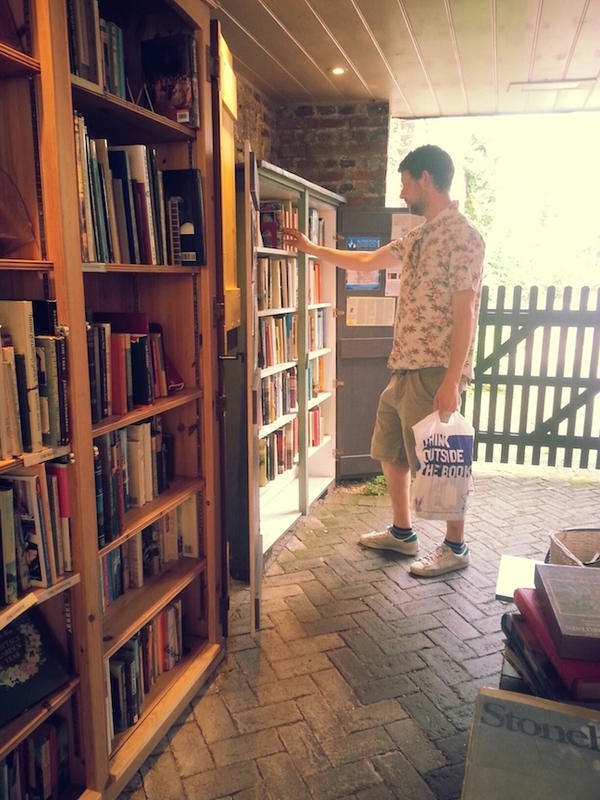 I didn't buy anything there, but there are lots of rooms to explore with books piled everywhere, so I'd recommend a detour if you're ever in that part of the world. I did buy one other book during the fortnight, again in Brighton... but I think I'll save that for a separate post. Nice trip (and nice haul). During my two separate August holiday weeks I bought only two books, one of which I signed during face-to-face with the author. Another five books I got as presents. So my holiday haul was much smaller than yours. You'd be called the Bookstore Creeper. Your vacation posts last year were epic - but it looks like your haul this year is still very high quality even though this holiday was not as bookstore-focused. Actually, I did get one book. Turns out my wife wrote a detective story when she was nine years old and her parents had it bound. I now have it. I can see a copy of Westlake's first Sam Holt book in your trophy photo. I just read it last month and liked it a lot more than I thought I would. I had feared I would hate it but it was quite okay after all. My American paperback is unbearably ugly - can't wait to see what your copy looks like. 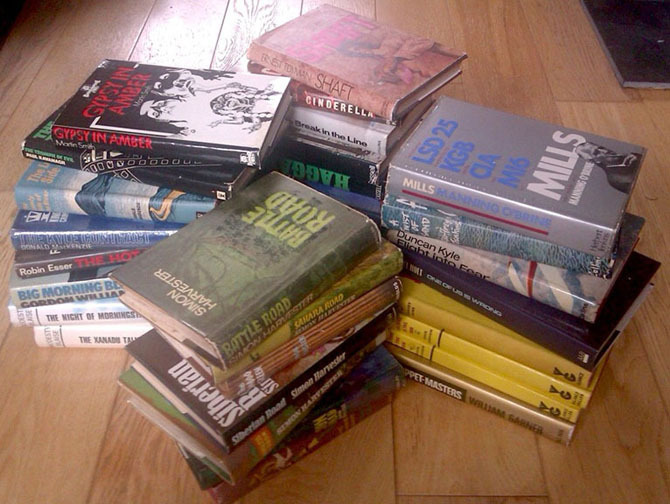 And I can see four books in that distinctive Gollancz yellow - what are they? Well spotted on the Sam Holt! I expect that'll be debuting as a Westlake Score at some point. There were three Gollanczes – that picture is a bit deceptive – one of which was Margaret Millar, the other two John Bingham – both the same Bingham, in fact. Don't ask me why... yet. I would LOVE to see the bound edition of your missus' detective story. You should blog about that! GYPSY IN AMBER is a good one, Nick. At least I think so. I wrote about it on my blog several years ago. So different from Smith's Russian spy novels. The ending leaves a bit to be desired, but up till then for a 1970s detective novel it's pretty darn good. Original to say the least. An Edgar nominee too, I think. Not too shabby. I see a few Modesty Blaise books there, too. Nice. And a hardcover of SHAFT -- Wow! I was just thinking about that movie a couple of days ago and wondered if I should go hunting for a copy of the book. My eyes are too bad these days to decipher many of the other titles. How did "Book Glutton" see the Samuel Holt book? Where is it? !